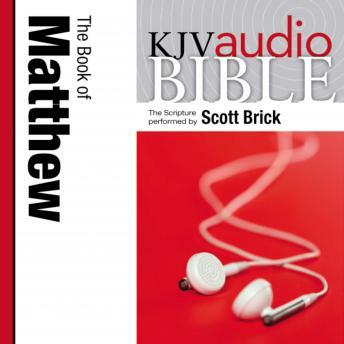 The King James Version (KJV) of Matthew in a pure voice audio format. Clear and uncluttered, this Bible speaks plainly, making it easier for you to enter into God's Word. Actor, writer, and award-winning narrator Scott Brick speaks new life to the cherished and revered translation.